Günter Schickert, four decades of multi-instrumental cosmic explorations, under Berlin's sky, above genres, and compromises. Marmo present on his seventh album to date, Labyrinth, the first to be released on vinyl format since 1983's Kinder In Der Wildnis. Schickert's Samtvogel (1974), equaled the imaginative leap and sonic power of the early Pink Floyd, Manuel Gottsching's 1975 album Inventions For Electric Guitar (MGART 401CD/901LP) or A.R. & Machines's Die Grüne Reise (1971). 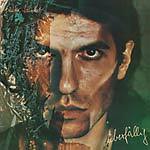 Überfällig -- originally released on Sky Records in 1979 and reissue by Bureau B (BB 096CD/LP, 2012) -- little acclaimed, spans a large spectrum of music styles, always through a distinctive and personal aesthetic, that is deeply linked to the one he firstly crafted back in '74, when Schickert pioneered the use of echo effects applied to guitar playing. And now Labyrinth, a record that stands for versatility, where soundscapes or life situations take over. 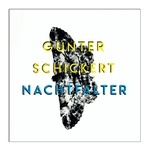 The album is divided into two parts, two different production bulks and periods of Günther Schickert's life. Side A features a selection of tracks recorded in 1996, appearing on the 2012 album HaHeHiHo, released via Pittsburgh based VCO Recordings. The raga-inspired "Morning" opens Labyrinth with exotic charm and bitter-sweet nostalgia. "Sieben" kicks off with the same guitar scales of the previous theme, before the motorized progressions of a Korg MS-20 synth surprisingly storm in. "Ninja Schwert" remains on astral dimensions, it is a struggle of cosmic forces, where the steady ride of a pounding beat gets embraced by different guitar layers and analog electronic filtering. The side closes up with "HaHeHiHo", a slow ballad featuring Schickert on vocals, guitar, bass guitar, and drum machine. Side B contains material produced between 2007 and today. "Tsunami" shows the multi-instrumental and recording abilities of Günter Schickert: a field-recorded storm with mesmerizing powers, a peculiar progressive approach to guitar playing. In contrast, "Oase" muffles the intensity and jumps into a completely different soundscape, where in liaison with the sounds of a rolling drum tom and a desert-like trumpet. Like "HaHeHiHo", "Checking" represents the vocal gem of the B side, in a raw and direct way of songwriting like if Syd Barrett was his invisible helper. "Palaver" assembles different vocal recordings of Schickert into a bizarre free-style conversation. "Morning (Slide)", reprises the opening theme, this time solely performed through the caressing dilated sounds of Günter's slide guitar. Includes printed inner sleeve and download code. The fact that this album appeared at all in 1983 owes less to Günter Schickert and more to Steven and Alan Freeman, who sought him out for their Krautrock encyclopedia The Crack in the Cosmic Egg. On learning that Schickert had heaps of recordings in his archive, the Freeman brothers proposed compiling an album. Schickert agreed and handed over material which the English YHR label had released in cassette form. Kinder in der Wildnis is a more heterogeneous album than either of its predecessors, understandably so, since the pieces it contains are not immediately related to one another. Occasionally (above all, on the two bonus tracks -- available here for the first time), the influence of Neue Deutsche Welle (German new wave), virtually omnipresent in that era, may be detected. For the most part, however, Schickert stays true to form and creates layers of hypnotic, filigree echo patterns, frequently accompanied by a dragging beat. To add to the atmosphere, he mixed in dummy head recordings made in Kreuzberg on New Year's Eve, 1980. In the following decade he augmented these with corresponding recordings from New Year's Eve, 1990. A rare treat awaits on the title track -- his four year-old daughter can clearly be heard singing the chorus at full pelt. Günter Schickert remains one of the greats of the Krautrock underground. Alongside his solo album work, he was a member of GAM, No Zen, and Ziguri Ego Zoo and composed a wealth of music for theater. He also painted (the drawings in the booklet, for example) and worked as a multimedia artist. His career in music began in the late 1960s, early 1970s in Berlin's legendary Zodiak Free Arts Lab (founded by Konrad Schnitzler and Hans-Joachim Roedelius). Among the similarly creative free spirits he met here was a certain Klaus Schulze, then drumming for Tangerine Dream. He would later join Schulze on tour as a roadie and musician and sometimes looked after Schulze's house when he was on the road. They recorded an album together in 1975 and intended to release it under the title Ich bin zwei Öltanks ("I am two oil tanks"). Alas, it would be another 38 years until it saw the light of day (with the rather more sensible title of The Schulze-Schickert Session). Today, amongst other things, Günter Schickert is back touring with his old band, Ziguri. LP version, on 180 gram vinyl. The fact that this album appeared at all in 1983 owes less to Günter Schickert and more to Steven and Alan Freeman, who sought him out for their Krautrock encyclopedia The Crack in the Cosmic Egg. On learning that Schickert had heaps of recordings in his archive, the Freeman brothers proposed compiling an album. Schickert agreed and handed over material which the English YHR label had released in cassette form. Kinder in der Wildnis is a more heterogeneous album than either of its predecessors, understandably so, since the pieces it contains are not immediately related to one another. Occasionally (above all, on the two bonus tracks -- available here for the first time), the influence of Neue Deutsche Welle (German new wave), virtually omnipresent in that era, may be detected. For the most part, however, Schickert stays true to form and creates layers of hypnotic, filigree echo patterns, frequently accompanied by a dragging beat. To add to the atmosphere, he mixed in dummy head recordings made in Kreuzberg on New Year's Eve, 1980. In the following decade he augmented these with corresponding recordings from New Year's Eve, 1990. A rare treat awaits on the title track -- his four year-old daughter can clearly be heard singing the chorus at full pelt. Günter Schickert remains one of the greats of the Krautrock underground. Alongside his solo album work, he was a member of GAM, No Zen, and Ziguri Ego Zoo and composed a wealth of music for theater. He also painted (the drawings in the booklet, for example) and worked as a multimedia artist. His career in music began in the late 1960s, early 1970s in Berlin's legendary Zodiak Free Arts Lab (founded by Konrad Schnitzler and Hans-Joachim Roedelius). Among the similarly creative free spirits he met here was a certain Klaus Schulze, then drumming for Tangerine Dream. He would later join Schulze on tour as a roadie and musician and sometimes looked after Schulze's house when he was on the road. They recorded an album together in 1975 and intended to release it under the title Ich bin zwei Öltanks ("I am two oil tanks"). Alas, it would be another 38 years until it saw the light of day (with the rather more sensible title of The Schulze-Schickert Session). Today, amongst other things, Günter Schickert is back touring with his old band, Ziguri. 2015 repress. Bureau B reissues Günter Schickert's album Überfällig, originally released in 1979 on Sky Records. 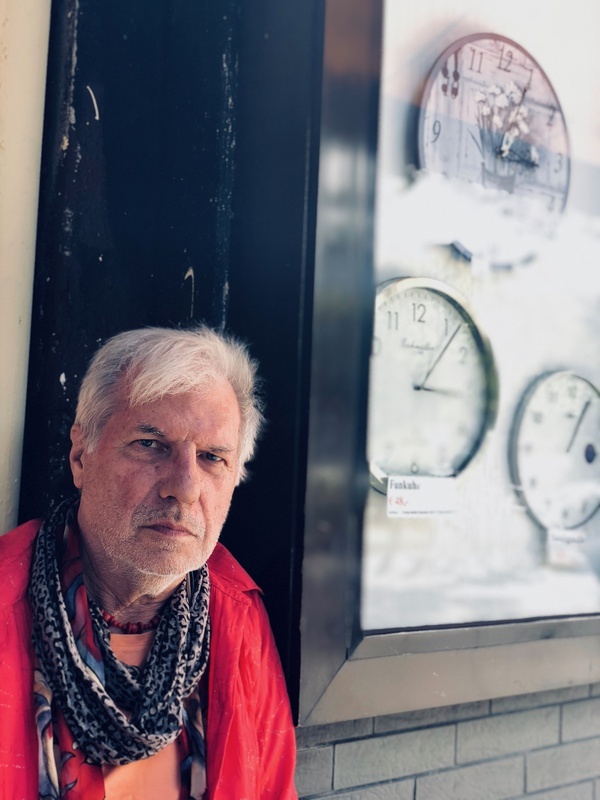 "No sooner had electronic music broken through in Germany, principally aligned in the two schools of Düsseldorf and Berlin, than Günter Schickert also began his first musical experiments. Although GAM, the group he founded in 1973, did not then release a record, he did issue his first solo effort, Samtvogel, a year later -- an album which was eagerly snapped up and re-released by the Brain label. 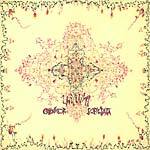 It would take five years for Sky Records to release his next LP, entitled Überfällig (trans. "Overdue"), which proved to be the last for a number of years. This album, as its German title suggests, was long overdue. Günter Schickert had developed his own unique, forward-looking type of music, assuming an exceptional position in the concert of German electronics. In spite of the clearly discernible influence of music from the so-called Berlin school (Tangerine Dream, Ash Ra Tempel etc. ), Schickert is anything but a copycat. Schickert concentrated on pursuing his own ideas and pushing the boundaries of his remarkable aural creations. He is at pains to emphasize that, unlike almost all of his contemporaries, he did not use any synthesizers; his instruments are the electric guitar, his own studio with a multi-track tape machine and a comfortable arsenal of effects. Similar experiments had also been attempted by Manuel Göttsching (Inventions For Electric Guitar) and Achim Reichel (A.R. & Machines: Die Grüne Reise), but without stretching the multifaceted nature of their music to the point of microtonality, as Schickert dared to do on Überfällig. His own take on minimalism places him closer to the likes of Steve Reich and Glen Branca, free from the reach of Klaus Schulze and Tangerine Dream. Schickert's use of concrete sounds and his completely autonomous way of working in his own studio presaged a stage of development more readily associated with the early 1980s. In 1979, the album was a statement of a virtuosic outsider, a guitarist and sound sculptor whose musical visions transgressed the level of expectation of a potential audience, detached from the electronic mainstream. Günter Schickert was one of the protagonists who furthered the development of experimental pop music from the outer margins. The reissue of Überfällig was, in a word, overdue." --Asmus Tietchens; Liner notes by Asmus Tietchens.